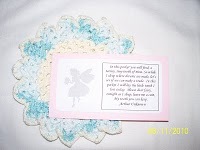 Tooth Fairy Pillow for a Cause. 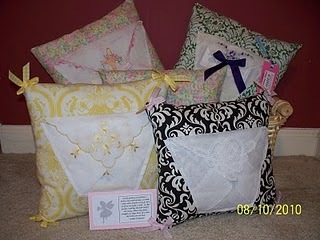 From March 1-June 1, 2011, The Pauper's Castle will donate 100% of the TOTAL PURCHASE PRICE of every tooth fairy pillow purchased to support The Promise Walk for Preeclampsia. Every pillow comes with it's own Tooth Fairy Poem ! Ft. Benjamin Harrison State Park.